Today’s adolescent community is looking for a sense of independence and places a significant value on their social life as a way to relax and socialize. Parental awareness, positive communication, and recognition of the roles of responsibility are vital in order to avoid legal ramifications for the juvenile and parent, as well as unwanted tragedies. Whether hosting a teen party or allowing your teen to attend one, there are parental responsibilities that have to be applied to keep both your teen and yourself safe and out of trouble. It’s important for parents to realize that there is a generational difference between teens today and the youth community that the parent or guardian might recall from their teenage years. Parents should always be cautious about leaving their homes in the care and custody of teenagers for extended periods of time. Although your teens may be responsible, other youth can be attracted to the premises of an unsupervised house, which could result in a party where alcohol and drugs may be furnished. Social networking sites, such as Facebook and Twitter, allow for news to travel fast about an unsupervised house. A party that was meant to be small can quickly get out of hand as the news travels, and alcohol and drugs may arrive quickly in the hands of uninvited guests. Not to mention opening the potential for theft of personal property, damage to items in or around the residence, sexual assaults, bodily injuries, and many more unintended occurrences within that residence. Some parents may believe that allowing the juveniles to consume alcohol and drugs while being supervised within their home is a much safer option. Alcohol and other drugs impair the judgment of teens, lower their inhibitions, and affect their young bodies differently than that of adults. It is important to remember that youth are prone to overdoses, as they are unfamiliar with the effect of alcohol and/or drugs in their bodies. There is also a zero-tolerance law for intoxication of youth while operating a vehicle. Parents are legally responsible for anything that happens to a minor who has been served alcohol or other drugs in their home or under their supervision. An adult may not legally serve alcohol to a minor unless the adult is the parent or guardian of that minor. Therefore, if a planned event will involve providing liquor to an underage youth, the host of the event should be aware that this activity constitutes a criminal offense. This offense may be prosecuted upon an initiated complaint of a minor, his/her parent, the police, or the district attorney. Furthermore, the risks associated with hosting such an event could lead to civil sanctions. If the police department is called, or if they respond to a home left supervised by a minor, and if there is a gathering in which alcohol is present, the preferred action of the police department will be: obtaining order, ensuring the safety of those attending, and accountability of responsible persons to include the enforcement of laws. Most of these enforceable laws are misdemeanor or felony offenses, and may involve a fine. Many law enforcement jurisdictions have municipal codes that apply to hosting a party in which alcohol is made available to juveniles. Constant communication with your teen is crucial in regards to hosting or attending a party. If your teen is hosting a party, the recommendation is to keep it small and know the guest list. It is important for the parent to be at the party so that the established rules of no alcohol or other drugs are being followed, as well as maintaining the size and hours of the party. The parent may want to monitor this from a position that they are not considered “in the way” or overbearing. If the teen is going to a party make sure that you know: where that party is being held, the name of the host, and assure that your teen has a safe ride to and from the party. Be up when your teen arrives home. This will ensure that your teen will be accountable to the boundaries that you have discussed and set. Your role as a parent involves guiding your teen to make healthy life decisions in a manner that will encourage your teen to be a respected role model for their peers. There are times that being a parent may create conflict, and parenting is not the same as being that teen’s best friend. Encourage an open dialogue with your teen so that you are both better equipped to understand each other’s concerns and positions, especially as it applies to alcohol and drugs. The Los Gatos Monte Sereno Police Department encourages you to read the No Bust Party Flier for tips on how to have a safe, alcohol free party for young people. 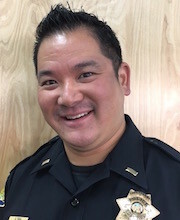 In addition, please visit the Los Gatos Monte Sereno Police Department webpage at www.losgatosca.gov and go to “Youth Party Guidelines” for additional information related to youth parties, potential legal consequences, and considerations for managing such events.